The transportation of pets inflicted by the storm continues to create a ripple effect throughout the nation. Jessica Stolinski and Laurie Ballard of Voorhees Animal Orphanage take Antonio, who arrived from a shelter in San Antonio , for a walk. After Hurricane Harvey battered the Gulf Coast, dogs and cats have been making the cross-country journey from Texas to New Jersey. Dozens of shelters scattered throughout the Northeast Corridor are embracing the animals afflicted by the aftermath of the storm, including a few in the Voorhees and Mt. Laurel areas. Pets plucked from the floodwater are seeking refuge in local South Texas shelters, creating a colossal assembly line, as the animals who were already in safe areas are being transported and dispersed, making room for incoming ones. This disaster-relief effort started with a partnership between St. Hubert’s Animal Welfare Center in Madison and the Humane Society of the United States. Many local shelters, including Voorhees Animal Orphanage, the Animal Welfare Association and One Love Animal Rescue, already take in pets from St. Hubert’s on a weekly basis. “We always make sure we have large enough room, because you don’t know when a horde can come in,” Bailey said. Harvey did, indeed, send a horde, as nearly 180 dogs were originally intended for travel during the first wave of transports to St. Hubert’s on Aug. 29. However, of that 180, roughly 80 dogs were cleared for flying, as a majority of them showed signs of upper respiratory conditions. Of the eight set to arrive at the Voorhees Animal Orphanage, only one dog, Antonio, made the trip. “Antonio is a representation of what’s going on in the bigger picture, which is life in Texas due to this horrific disaster,” Bailey said. Five of the 12 dogs that arrived in two transport waves to the AWA were diagnosed with the disease. AWA’s most recent refugees came from Best Friends Animal Society and the Animal Rescue Foundation, or ARF, including three cats from Texas. Many dogs deemed safe to travel were later diagnosed with heartworm, a condition in which parasites invade the heart, once they landed in New Jersey. The disease is especially prevalent among canines in the South, due to the humid climate and increased access to flea and tick bites. 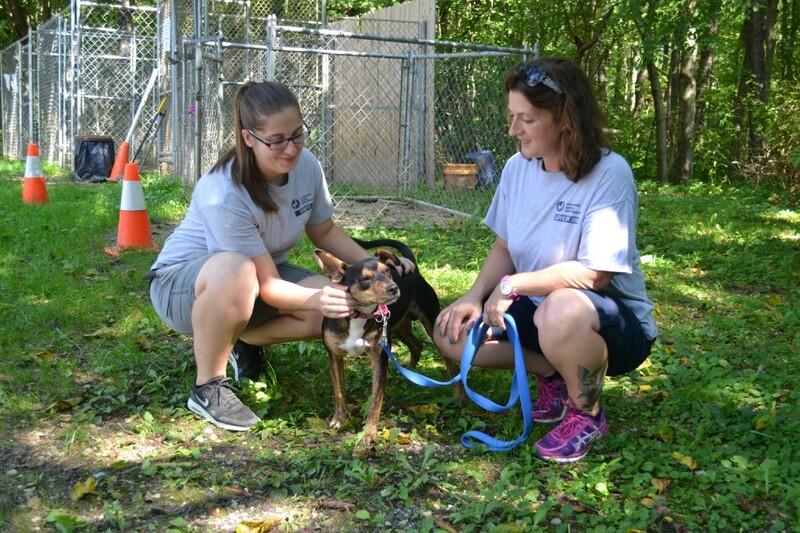 Five of the 12 from the AWA were adopted last weekend. Naturally, as new animals are arriving from the destroyed regions, the occupying ones need to be transported. The shuffle could continue to ripple throughout the nation for months, as people returning to their homes in Texas could find innumerable strays separated from their owners. This could prove particularly true in the wake of Hurricane Irma, as shelters are preparing for influxes from Florida and the Carolinas. Based off the community’s donations, fostering and adopting just in the past weeks, all three shelters anticipate new homes for the arriving animals. For those interested in contributing, contact information is below.